Some Japanese scientists have an unusual plan. Their goal is to bring back a species that has been extinct since the end of the Ice Age, and they believe that this can be done within five years. The five-year plan to resurrect the woolly mammoth is in place, and scientists believe that the time and techniques are right to bring the mammoth back to life. Of course, the idea that just because you CAN do something doesn’t mean you SHOULD do something is an entirely foreign concept to scientists, but there are a lot of hurdles to resurrecting the great furry beasts. 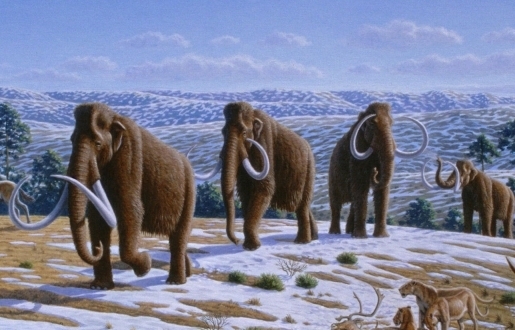 The technique involves extracting the frozen DNA from mammoth eggs discovered in Siberia and injecting that into the egg of a living elephant. Similar techniques were able to successfully clone a mouse that had been frozen for 16 years. After the DNA swap, the embryo will be injected into an elephant, who will hopefully be a surrogate mother to her new prehistoric baby.